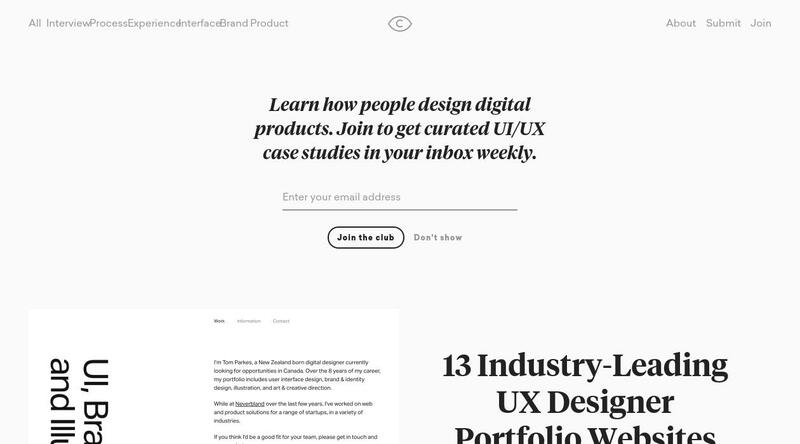 Join to get curated UI/UX case studies in your inbox weekly. Curated gallery of the best UX case study examples, updated on a weekly basis. Focused on the story behind excellent design work. Learn how other designers think, get inspired and make it into your own thing.